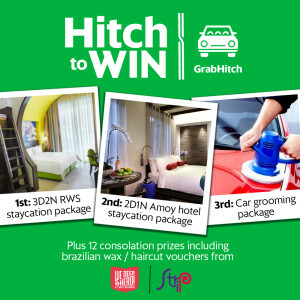 GrabHitch April Draw – GUARANTEED movie tickets up for grabs and stand to win a RWS staycation package worth $800! 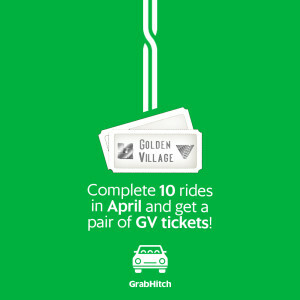 For the month of April, complete 10 hitches as a driver and you will receive a pair of movie tickets! GrabHitch allows you to meet new people, cover some costs and even rewards you for it! On top of our guaranteed rewards, stand a chance to win a Resorts World Sentosa 3D2N staycation package worth $800. For every trip completed after the 10th trip, you will be entitled to 1 lucky draw chance. If you complete 20 trips in a month, your chances will be tripled! Sign up now and start Hitching! Contest form must be completed by 30th April in order to be eligible for the Guaranteed rewards, or the lucky draw.